Yes, Bernie Sanders is a Jew, but the Times says that, "He Doesn't Like to Talk About It." I was disappointed in Joseph Berger of the Times for interviewing his brother and not getting Bernie to talk about this. And trust me, there are dozens of rabbis who would be happy to slam him in the Times for not being a good enough Jew. While the crowd cheered, Rabbi Michael Paley of New York was among many Jews watching the speech who were taken aback. 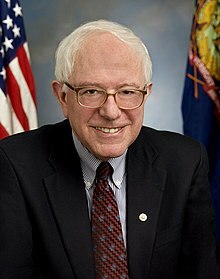 He said he was surprised that the Vermont senator had not explicitly described his father as a “Polish Jewish immigrant,” a significant distinction given Poland’s checkered history with its Jewish population. “Nobody in Poland would have considered Bernie a Pole,” Rabbi Paley said. 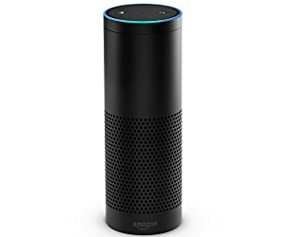 I ordered an Echo when it came out at the end of 2014 - it's a voice activated Internet invention from Amazon. My son Barak observed about it that it looks a bit like a Shabbat lamp (which I do not have) and wanted to know if it can be used on Shabbat. And that made me think. If Echo is Jewish, then you can't "suggest" to it that it do any work for you on Shabbat. You can't say, "Play me a niggun" or ask "What time is minhah?" or clarify "When did I last eat meat" or, on Pesach, "How many matzas do I need to eat for a kazayis?" and I could go on. But if Echo is not Jewish, then you potentially could ask all these requests of it on Shabbat or Yom Tov..and more. Q: "Alexa are you Jewish?" A: "People all have their own views on religion." A: "I'm best at answering questions about things like history and music." Q: "Alexa, Play me the Israeli national anthem"
A: "Here's a sample... by Michael Silverman." Amazon ran some quirky ads during Super Bowl 50 for the Echo. Is Alec Baldwin Jewish? Nope. I thought you might be interested in this book from Amazon. My Dear Rabbi Zahavy column in the Jewish Standard for February answers questions about hand shaking hygiene and avoiding speeding tickets. I have had serious health problems and several medical procedures that weakened me and my immune system. Thank God, I have recovered now, and I attend my local synagogue. 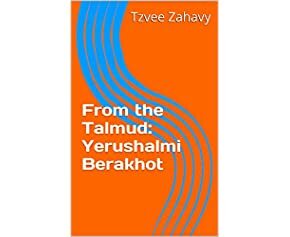 My problem is that especially on Shabbat, some of my friends and neighbors offer me a handshake with their greetings after services. My doctors have cautioned me about engaging in physical contact in public that could expose me to germs and diseases. So I have told my close friends that I won’t shake their hands. They understand because they know my situation. I offer some of my buddies fist bumps instead of handshakes. Other people in shul do not know why I won’t shake hands with them. That makes me worried that they will think I am socially cold or odd. First, am I wrong to be hyper-cautious about handshakes? Second, what should I do to explain my preference not to shake hands? Our hands most certainly do have and transmit germs. What should we do about that?